Are there specific indication about airport perimeter fence requirements? Technically speaking, it is appropriate to start by saying that, over the years, hundreds and hundreds of intruders have been able to efficiently hop fences, or crash vehicles through them, or even sneak past security in order to reach the planes. In fact, according to an Associated Press investigation, since 2004 there have been at the very least 268 perimeter security breaches in the United States alone. 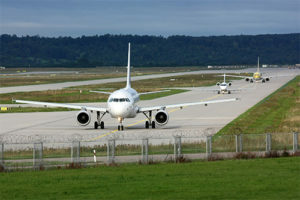 Whenever we think about airport perimeter fence requirements, we have to face the reality that perimeter security poses a significant challenge for any airport, from the smallest to the vastest. Each and every airport can decide to deal with this challenge in its own way, in accordance to its specific needs and peculiarities. The final goal never changes, and is about protecting the border of the airport, a result that can be reached in various different ways. You can include fences but also camera and patrols, and extremely advanced technologies that can compensate the obvious limitations that are typical or mere fences as a physical barrier against intruders. And these are just some of the virtually endless variables that can condition airport perimeter fence requirements! Just imagine a medium-sized airport with, let’s say, approximately 30 miles of physical perimeter fencing, located in a rural area characterized by low human traffic, in a location that incorporates all four seasons. Its challenges will be very specific and quite different from a huge international airport located in a crucial metropolitan area, with a temperate climate, surrounded by water and with constant human movement all around the location. As you can easily guess, airport perimeter fence requirements can change drastically in the example we have just made. 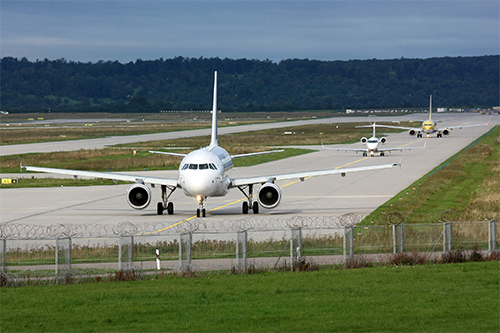 In addition, cost/quality ratio is another important factor influencing airport perimeter fence requirements. Specifically, the size of an airport’s perimeter and all associate fencing will define the cost function of perimeter security in itself. And again, there is the maintenance of the whole fence “system” that has to be taken into consideration, together with the materials and the specific assets employed: nets? Barbed wire? Cameras, sensors, infrareds, intrusion detection devices? And what about the gates? How many are they? In conclusion, defining the proper airport perimeter fence requirements is a project in itself requiring the expertise, experience and knowledge of specialized professional. Contact CIAS now and get in touch with the best company in the industry.